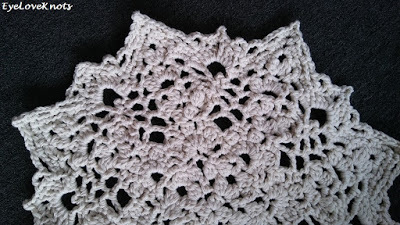 Last week, I received an email with the release of the free crochet pattern for the Whisperwind Doily. 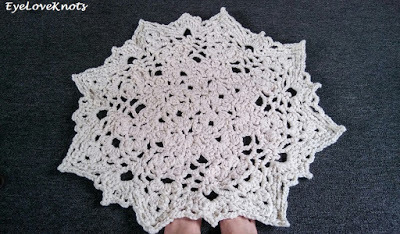 I loooovvveee the way doilies look! 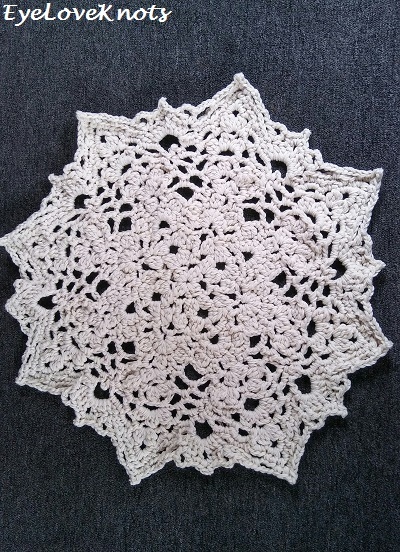 But… I hate blocking, and therefore doilies can’t really be on my list if made in crochet thread unless I give in and start blocking. With this doily though, I decided that I wasn’t going to let this one pass me by too. Instead, I worked it holding four strands of worsted weight yarn together, and turned the design into an accent rug, and it’s lovely! Are you a Raveler? Make sure to favorite and share your version of this Whisperwind Doily! – P16/11.5mm Crochet Hook – I bought this Jumbo Plastic Crochet Hook Set, which included the P16 & a Q hook in one! The options are quite open for this. I would stick with something heavy weight though. If going with four strands of worsted weight yarn as I have done, I would suggest Caron One Pound and Bernat Super Value as alternatives, however, you could also do Lily Sugar n Cream – I’d probably try 5 strands held together – or even two strands of a Super Bulky #6 Yarn – perhaps Wool Ease Thick n Quick, not Hometown USA. I had my rug ready to go in three hours. From point to point, my rug measures 35″ across. This pattern was so easy to read, follow and memorize, plus the photos to reference are a plus. 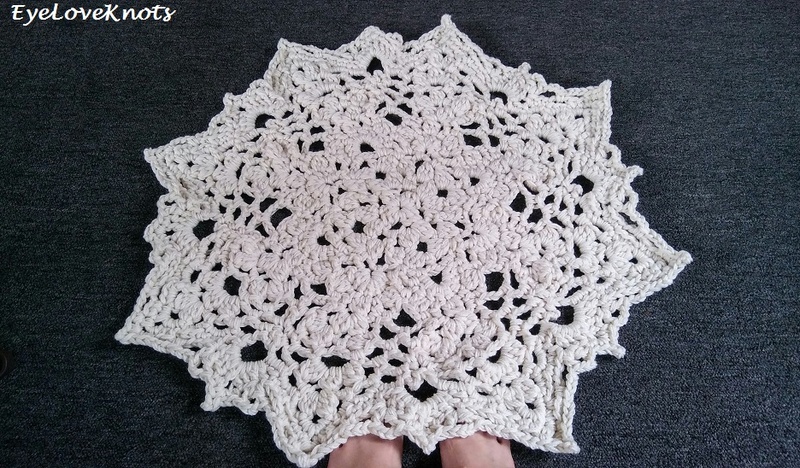 I only have three little things about this pattern, otherwise, I would love to work up many in several colors, and experiment with other yarn weights to see what other kinds of projects can be created with this pattern. Would you like to see anything specifically worked up using this pattern? I love your suggestions and feedback! Drop me a line below! 1. In the Foundation Row, I worked the last chain as a chain 3 – similar to how I work my last chain of the foundation row of a granny square as a chain 2 instead of 3, because if not, the shape is off in this corner just for the first row. 2. Round 8 ends as “…single crochet in the next space]…” but the last stitch should end at the chain 3 beforehand and join to the first single crochet, which takes the place of the last stitch. 3. Round 9 states to end at the “**”, but I found that I ended at the “2x” repeat, and then joined. Just follow along with the pattern, and it will come naturally. And that’s it! I highly recommend this pattern! 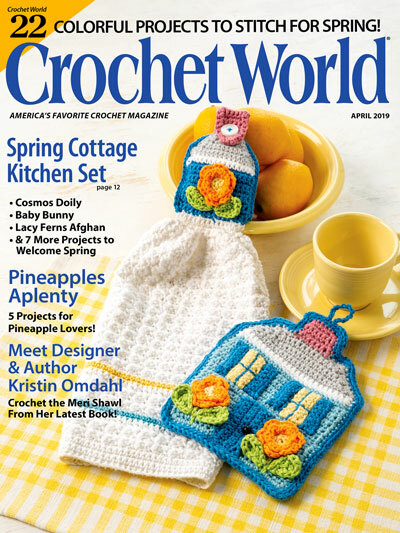 The writing is awesome, and the pattern produces a lovely doily, or doily-inspired rug in this case. 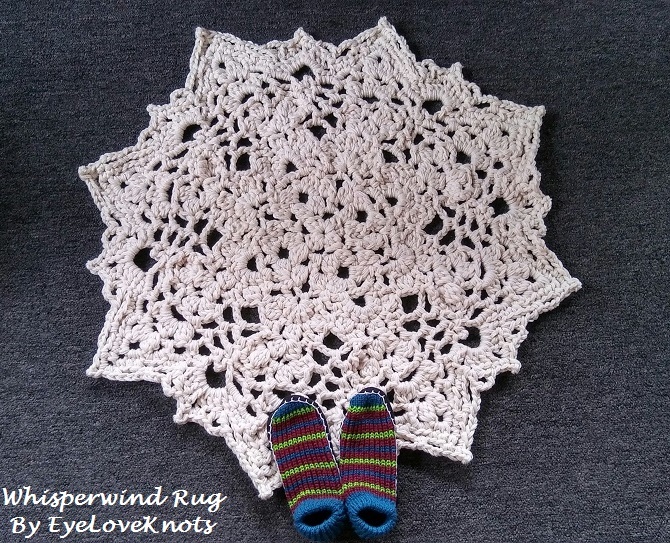 Don’t Crochet but Interested in Purchasing Whisperwind Rug? 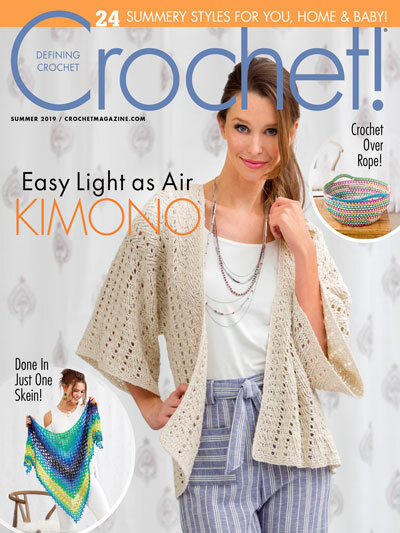 Ugh, the struggles of being a crocheter – hehe! 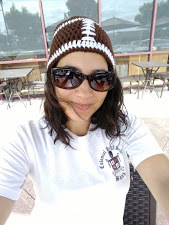 Let me know if you find a better suited yarn.